Fit-Ink: The Biggest Loser is Back! Whether it feels like just yesterday or ages ago that Michael was stepping atop the Biggest Loser scale to be crowned the season 9 winner, another season of the hit weight-loss show kicks off tonight on NBC. Bob, Jillian and Alison Sweeney are back for the 10th Biggest Loser season, along with 21 overweight Americans vying for a spot on the ranch and the chance to change their lives. 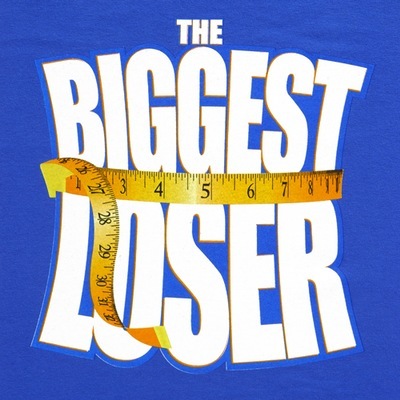 But in Biggest Loser fashion, there's a twist. Tonight's premiere is not just about those 21 individuals but it is meant to inspire and encourage neighbors from the contestants' hometowns to participate off the ranch. I'm foreseeing a challenge that brings some of these hometown Losers to the ranch later in the season--looks like I'm right too, according to That's Fit. I wouldn't place any bets on my guesses though as I've been known to choose the wrong overall loser--and winner of $250,000--more than once. For example, I never expected Helen to take the title over Tara (season 7) or Danny to best Rudy (season 8). And while I knew Michael could easily win last season, I never thought the contestants would keep him over kicking him to the curb as a threat. It's safe to say that I haven't watched enough NBC this summer to catch any previews of the season, but nevertheless it's one I'll inevitably become attached to (it's happened since season 2) for the stories, the endurance challenges, the voting and everything else that unfolds. Will there be a marathon to run or a triathlon? Will they cycle round the clock or complete a half marathon halfway through? And more importantly for tonight, how are the ranch contestants finalized beyond the season's Pay It Forward theme that sent Bob and Jillian to seven cities across the nation? I know part of the answer to that one--Biggest Loser meets American Idol in terms of a selected city search that stopped in Detroit, Atlanta, Portland, Oklahoma City, Boston, Los Angeles and Phoenix and made BL wannabes compete in a 500-step contest and one-mile race. And like American Idol, these cities must have been filled with folks bearing local and out-of-state licenses or why else would you not see a Detroiter or a Phoenician among the competition? You will however find an "unhealthy" mix of people from some of the country's fattest metro areas as deemed by Men's Health earlier this year. And a few who could be considered the ones dragging down their "super-fit" city. Take Oklahoma City, Okla., which received a D, and Tulsa, Okla., which received a D+ among the rankings, and you'll find two competitors from the surrounding area, Allie and Lisa. Or D- Houston has competitor Montina among its residents. Or there are the C- grades for Anchorage, Alaska, Jackson, Miss., and Newark, N.J., the Cs for Boston and select cities in California, and another handful of racers hailing from those states. But then you have the anomalies, the ones practically dragging down the fit aspects in some of the cities receiving top fit-factor grades. While San Francisco receives an A+ as a fit city, the Biggest Loser's Ada hails from San Jose--close enough for this comparison, plus San Jose received a B. The Twin Cities both come in with B+ grades, yet Jesse tips the scales in a staggering hefty direction. And then you'll find competitors who reside near Salt Lake City (B+), Portland, Ore. (A-), and Washington, D.C. (A-). Who do you think is going to take it all? Make your assessment after watching tonight at 8 p.m., 7 p.m. central time.